Dr. Allen completed general surgery residency at The University of North Carolina in Chapel Hill following which she was trained in Minimally Invasive Surgery in Lexington, KY. She then polished her surgical skills in cosmetic surgery at The Mandell-Brown Plastic Surgery Center in Cincinnati, OH. She is double boarded in general and cosmetic surgery. Her office location in North Raleigh offers a convenient location for patients who seek the best possible cosmetic surgical outcome. 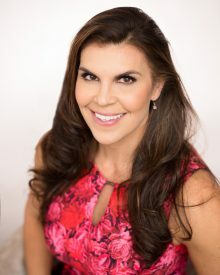 Her background in fitness and bodybuilding allow her to offer a unique perspective into the care of her patients so that they feel and look their best. General Cosmetic Surgery including breast augmentation, breast reduction, mastopexy, face-lift, brow-lift, skin resurfacing, abdominoplasty, arm lift, thigh lift, J plamsa skin tightening. Fellowship, Cosmetic Surgery – Mandell-Brown Plastic Surgery Center.